Your ceremony is over and your guests are trickling off to discover their own European adventures. It's time for you and your Well Travelled Groom to kick off your shoes and get swept away in the romance and adventure that awaits you within Budapest. 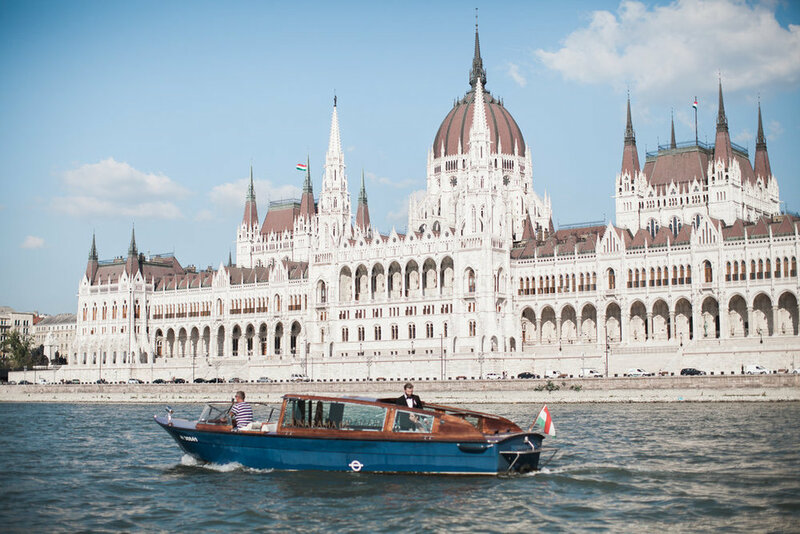 Take a week or two after your ceremony to relax and enjoy the luxuries this decadent city has to offer, whether that means cruising on the Danube River, soaking in art and culture at the Opera, or pampering yourselves at a day spa. Make sure you keep your schedule simple and allow time to simply stop and soak up the views and culture around you. Located in the breathtaking Four Seasons Hotel and one of our favourite spots for a warm yet glamorous bite to eat Budapest, Kollazs offers a true "collage" of Hungarian and French dishes that are sure to hit the spot. The unimposing cafe feels simultaneously elegant and relaxed, and is even connected to a a fine art photography gallery where guests can sip on cocktails and view artwork on display from some of Hungary's most prominent artists. We recommend you make a dinner reservation and take advantage of one of the more exciting options on the menu - a gorgeous 6 course meal titled ‘the blind date’. For a more casual lunch spot in Budapest, we recommend checking out this stylish inner-city spot with a menu full of colorful, unique and well-priced dishes. Costes Downtown features a chef's table-style layout, with all dishes prepared in an open kitchen so that guests can savor the experience of authentic Hungarian cooking. We recommend settling in for a late lunch with a glass of white whine (the local selection is incredible!) and soaking in the warmth of this inviting bistro setting. If you're looking for Eastern European glamour, book a suite at the Aria Hotel. This lavish hotel is characterized by quirky and elevated design, inspired by the rise and fall of music. Gorgeous suites named and modeled after jazz, classical, opera and contemporary music boast all the essentials necessary to make guests feel like a star. In addition, guests of the Aria will find divine courtyards, colourful decor and, best of all, an exclusive rooftop featuring the High Note Sky Bar (a must-visit for evening cocktails). This is the ultimate address for your favourite luxe memories of Budapest. 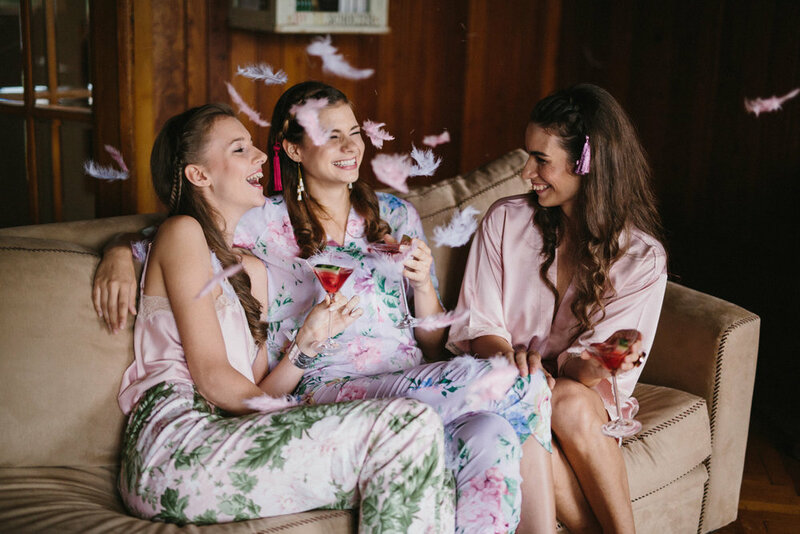 A local high-street loungewear company filled with feminine pieces perfect for your bridesmaid slumber parties. We recommend picking up a few silky pieces with florals inspired by the glamorous cultural heritage of Budapest to wear while popping a bottle of bubbly in your hotel suite with your best girls. For the ultimate pampering experience, consider checking out of your hotel spa and heading to a more natural resource - Budapest's fountains of healing water. The city sits on 125 thermal springs, so we couldn’t think of a more fabulous afternoon activity - no matter the weather! Our thermal spring of choice was Gellert Baths. Settle in and soak for a while while your eyes take in the beauty of the bath's classical mosaics and stunning architecture. If you're in the mood for something romantic, consider booking a private bath for two persons - the perfect cap to a luxurious honeymoon. For those seeking a more rural escape from the urban pace of Budapest, we recommend reserving a room at the gorgeous and airy Babérliget, a luxury guest house outside of the city. It's the perfect escape for afternoons spent lounging in the hammock or eating cheese and wine on the sunny terrace. 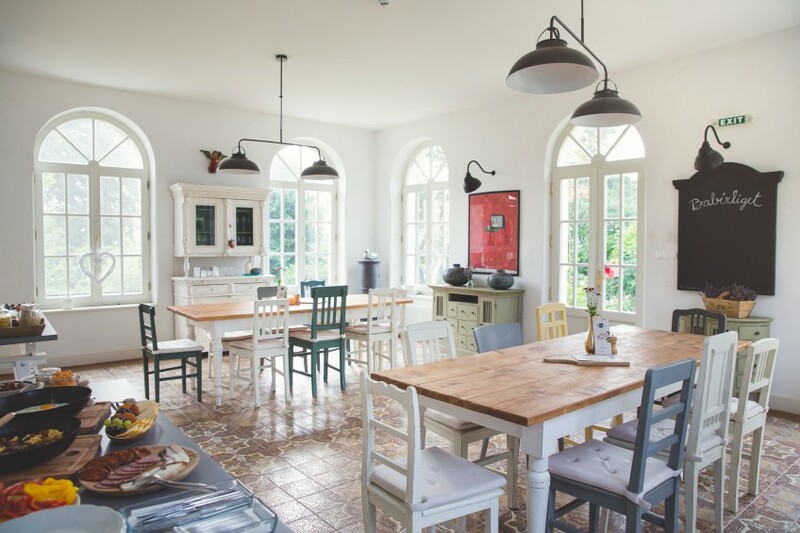 Think dream kitchens, courtyards backing onto pools and impressive wine cellars. It's worth an overnight stay even for those heading back to Budapest the next day!